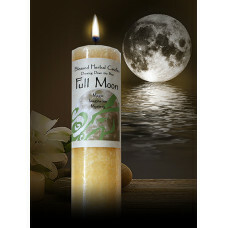 A blend of jasmine and frankincense in an ivory 2" x 7 " pillar with 50 hour burn time. 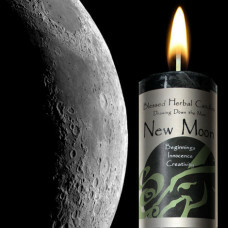 Magic, imag..
A blend of frankincense and myrrh in a dark midnight 2" x 7" pillar that burns for 50 hours. Beginn..